Listeria monocytogenes is a bacteria that can contaminate food, and it's responsible for around 1,600 cases of listeriosis (infection with Listeria) each year in the United States. Listeria is commonly found in soil and the stool of many animals, which is likely why it is so easy for food to become contaminated. 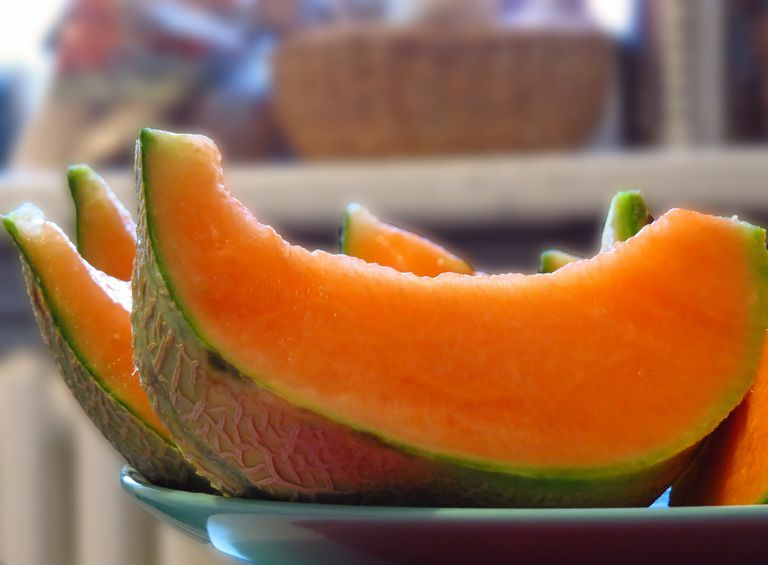 Although cooking foods appropriately and pasteurization can kill the Listeria bacteria, that isn't going to help for contaminated foods like cantaloupe, for which the bacteria can even get inside the fruit. Many cases of food poisoning can be prevented by following basic food safety techniques, including washing your hands, separating foods so they don't contaminate each other, cooking foods to appropriate temperatures, and refrigerating foods within two hours. People may develop listeriosis up to 21 to 30 days after eating something contaminated with Listeria. However, in some people, this incubation period may be much longer, up to 70 days. Unlike other causes of food poisoning, like Salmonella and E. coli, that typically cause limited gastrointestinal symptoms, such as diarrhea and vomiting, Listeria symptoms can be more invasive. In addition to diarrhea, invasive Listeria symptoms can include flu-like symptoms such as fever and muscle aches, and a headache. In people who have a weak immune system, there is also the risk of developing a stiff neck, confusion, loss of balance, and convulsions (seizures) because of sepsis (blood infection) or meningoencephalitis. Pregnant women might only have mild, flu-like symptoms if they have Listeria, however, the infection can lead to a stillbirth, miscarriage, premature delivery, or a life-threatening infection in the newborn baby. That is why pregnant women are often warned to not eat high-risk foods that might be contaminated with the Listeria bacteria. Fortunately, listeriosis is rare in otherwise healthy children. A 2011 outbreak of Listeria associated with Rocky Ford cantaloupes from Jensen Farms got a lot of attention, as it was linked to at least 139 sick people in 28 states, and caused 29 deaths. a 2015 Listeria outbreak in Texas and Kansas that got 10 people sick and caused 3 deaths and has been associated with eating "certain Blue Bell brand ice cream products"
a 2014 Listeria outbreak in 12 states linked to prepackaged caramel apples that led to 35 people getting sick and 7 deaths. a 2010 Listeria outbreak associated with eating hog head cheese in Louisiana, leading to 8 infections, including 2 deaths. a 2007 Listeria outbreak associated with pasteurized milk in Massachusetts that got 5 people sick, leading to 3 deaths. It is thought that the milk became contaminated after pasteurization. a 2000 Listeria outbreak associated with eating deli turkey meat in 10 states, leading to at least 29 infections, four deaths, and three miscarriages/stillbirths. a 1985 Listeria outbreak associated with eating Mexican-style cheese in Los Angelas and Orange Counties, Calif., leading to 142 people getting sick and 48 deaths, including 20 fetuses, 10 neonates, and 18 nonpregnant adults. Treatment with antibiotics is available for high-risk patients with listeriosis, although keep in mind that even with treatment, listeriosis can still be a deadly infection. People don't usually think of Listeria when they think of food contamination, as other bacteria more commonly cause outbreaks and infections. Of the 1,600 annual cases of listeriosis that are detected, there are about 260 deaths. People most at risk for listeriosis include pregnant women, newborn babies, people with immune system problems and chronic disease, and older adults. Listeriosis is not contagious. You can't get it from someone that has a Listeria infection. Unlike most other bacteria, Listeria can grow on foods that are stored safely in your refrigerator. Foods that are commonly associated with listeriosis include hot dogs, luncheon and deli meat, raw milk, soft cheeses made with unpasteurized milk, refrigerated pate and meat spreads, and refrigerated smoked seafood. Talk to your doctor if you think that you might have eaten a food that was contaminated with Listeria and you have developed listeriosis. Testing can be done to confirm the diagnosis. CDC. Multistate Outbreak of Listeriosis Associated with Jensen Farms Cantaloupe - United States, August-September 2011. September 30, 2011 / Vol. 60 / Early Release. CDC. Multistate Outbreak of Listeriosis - United States, 1998. December 25, 1998 / 47(50);1085-6.